Episode 284: ControlTalk NOW — Smart Buildings Videocast and PodCast for week ending September 23, 2018 features our interview with Building Automation expert, Daryl Clasen, LOYTEC Americas’ Sales Manager. Get your Greenhouse’s CO2 levels right with ACI’s aSENSE-GH; Johnson Controls Con is Hitting the Road! 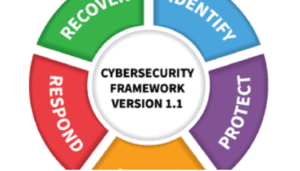 ; IoTium Tees Up to Take Off with Series B Funding; KMC’s Commander offers an easy way to turn a BAS Platform into an IoT Platform; and NIST releases “A Methodology for Determining Forensic Data Requirements for Detecting Hypervisor Attacks” for review. 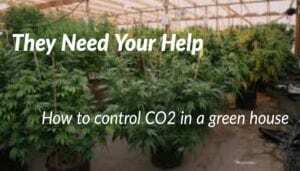 Need to Monitor CO2 in Greenhouses? Here is how to do it! 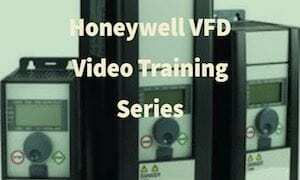 What is one of the fastest growing industries that needs a lot of controls and control strategies? I will give you a hint: the product is grown in green houses, and the lights, temperature, humidity and CO2 must be spot on. 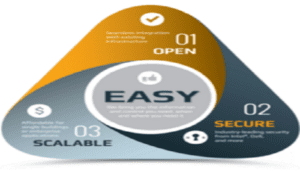 Companies like EASY IO have stepped up to the plate with the control side of the solution. Blue Ridge Technologies can get you dialed in on the lighting, but what about the CO2 monitoring? 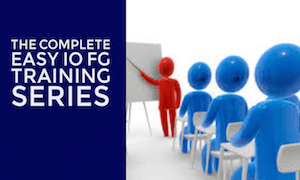 Here is the ACI solution you need to know. Johnson Controls Con is Hitting the Road! Taking it to the Streets! 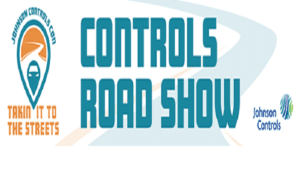 The Road Shows will provide opportunities for attendees to listen, see, and experience the Controls Product offering by Johnson Controls, while also providing hands on training, instruction, and certification in the following product areas: Facility Explorer, Verasys, Refrigeration, Johnson Controls Critical Environments (Triatek), Series III VFD, and Selection Navigator. IoTium Tees Up to Take Off with Series B Financing. Santa Clara, Calif. – September 19, 2018 – ioTium today announced that it has closed $13.6 million in Series B financing. This new round of investment brings the company’s total funding to $22 million and validates the strength of the company’s Software-Defined Converged Infrastructure solutions for IIoT, a vision actualized within industrial Fortune 500 deployments worldwide. The funding was led by continued investment from March Capital Partners. Honeywell Ventures, John Chambers’ JC2 Ventures and Hanna Ventures joined existing ioTium investors GE Ventures and Juniper Ventures in the round. The KMC Commander: The Easy Way to turn a BAS System into an IoT Platform. 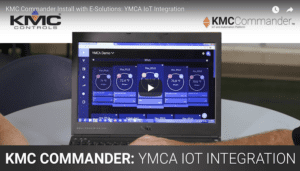 KMC Commander Install with E-Solutions: YMCA IoT Integration. 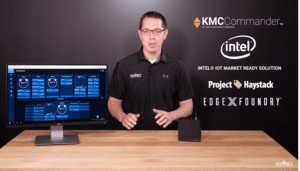 In this video KMC’s Tim Vogel, and E Solutions, TJ Terrell, show us how easy it is to take an existing BAS system and turn it into an Iot platform by installing the KMC Commander. As you can see in the video, this solution is very well thought out, and easy to install. So if your customers are asking more from the BAS systems you are servicing, think KMC Commander. 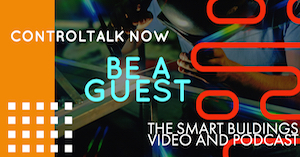 Our ControlTalk NOW interview with LOYTEC Americas’ Manager, Daryl Clasen gives us fresh insight into LOYTEC’s formidable intelligent building automation products are ideally suited for small to mid-size building applications. LOYTEC takes room automation and tunable lighting to the next level — and the LIOB‑585 I/‌O Controller is one of the most versatile, all-in-one controllers on the market: IP-enabled, compact, programmable automation stations for LonMark Systems and BACnet/‌IP networks with physical inputs and outputs and integrated graphical visualization. Founded in 1999, LOYTEC electronics GmbH today ranks among the leading European providers of intelligent networked control products for building automation. 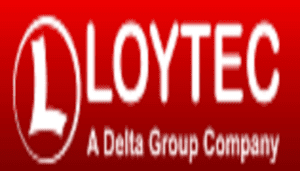 LOYTEC develops, manufactures, and distributes router and gateway solutions, embedded Automation Servers and I/O Controllers, the room automation system L-ROC, DALI lighting controls, the VAV system LIOB-AIR, and also graphical user interfaces in the form of touch panels or via PCs or mobile devices. For Whom it May Cybersecurity Concern: A Methodology for Determining Forensic Data Requirements for Detecting Hypervisor Attacks. Although a Methodology for Determining Forensic Data Requirements for Detecting Hypervisor Attacks notice may not seem to be of immediate importance to the ControlTrends Community, Cybersecurity requires a dutiful and relentless awareness, especially as we become more dependent on Cloud hosted services. The Nist website is a vital source of critical information available at your fingertips! 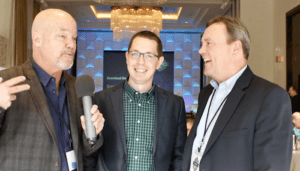 In this video KMC’s Tim Vogel, and E Solutions, TJ Terrell, show us how easy it is to take an existing BAS system and turn it into an Iot platform by installing the KMC Commander. As you can see in the video, this solution is very well thought out, and easy to install. So if your customers are asking more from the BAS systems you are servicing, think KMC Commander. KMC Commander is an open, secure, and scalable IoT platform for businesses. In its most basic form, KMC Commander helps to optimize energy usage, increase operational efficiency, maximize occupant comfort and ensure a safe environment. In this video, we introduce you to KMC Commander and give a brief overview of its features, including trends, schedules, alarms and more. To learn more about KMC Commander and how easy it is to install, check out our YouTube video series, or visit www.KMCCommander.com to view our Case Studies and schedule a demo. Catch all the excitement as the global ControlTrends Community crowns the 2016 Light Commercial Controls Solution of of the Year Award winner. In this case, it will take two crowns as both KMC Controls and Proton Optergy get recognized for their outstanding solutions. Click here to learn more about Proton Opetergy and click here to see what makes KMC so special. 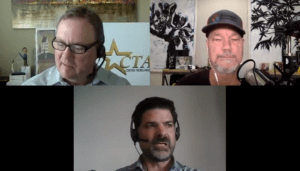 Will The KMC Commander Be The Smart Buildings Controls Game Changer? Will the KMC Commander be a Smart Buildings Controls Game Changer? To find out the answer to this question, our Rob Allen, chats with KMC’s Richard Newberry at the KMC Controls 2015 Business Conference. Richard is the Chairman and advisor to the KMC Board of Directors. Listening to Richard speak, it is no wonder KMC Controls is known for their innovative Building Automation and Smart Buildings Controls. Richard tells Rob how the KMC Commander was developed and about the unique partnership with KMC, Dell and Intel. From what we can see,in addition to meeting KMC mission requirements, the KMC Commander should be a Smart Building Controls game changer. To learn more about KMC Controls, and find a smart buildings controls provider, click here to visit their website. If you are in Georgia, the team at Stromquist & Company can take care of your KMC controls needs. It Pittsburgh, Ken and Dave Smyers can hook you up with all your Building Automation and Smart Building Controls needs.